Clyde S. Baily received his LL.B. degree from George Washington University in 1924. He was a charter member of the Bar of Interstate Commerce Practitioners and the Bar of the Federal Communications Commission. He served with NARUC, 1920-40, and he served USITA for 25 years. In 1954 Bailey was largely responsible for the amendment to the Communications Act of 1934, assuring the public served by Independent companies the benefits of point-to-point radio communications service. 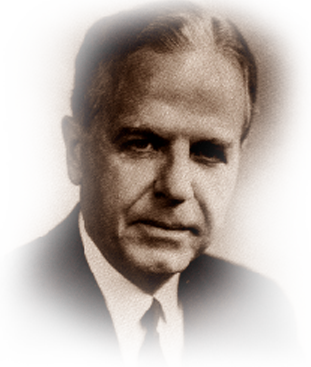 In demand as a public speaker, Bailey became known as the “sliver-tongued spokesman of the telephone industry.” He authored several articles for the industry publications on matters relating to the operation and welfare of Independent telephony. He appeared before committees of Congress on many matters, including preservation of Independent company exemption from FCC jurisdiction when utilizing radio to supplement wire telephone operations and other subject of vital concern to the telephone industry. He retired in 1965. In addition to many contributions to the telecommunications industry, Bailey was active in his community. He was instrumental in several successful land preservation efforts in the Washington, D.C. area. He died in 1985.